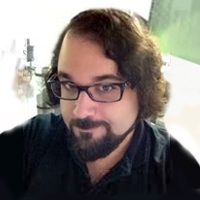 Mike Caprio lives in Brooklyn and works as a software engineer and instructor. In his spare time he is a community organizer among the StartupBus alumni in NYC and a mentor and local organizer for hackathons (co-organizing the planetary mainstage for the NASA International Space Apps Challenge in 2014). Mike aids news organizations with data journalism expertise and frequently lends his skills and talents to people in need all over the world. People who know me usually see me as a people person, and I definitely am someone who’s interested in other people and in how relationships and communities work. 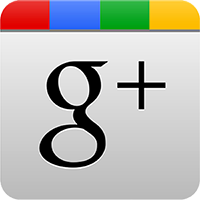 I have always placed a high value on my connections with others, and have undoubtedly spent a considerable amount of time just entering and maintaining address book and contact data. When I first came to New York City in 2007 my local network size was effectively zero. I’m a software engineer by trade, so I of course wanted to make inroads into the tech community. At that time the big banks dominated the tech sector in the city, so if I wanted a job I’d have to get into the financial sector. Since I didn’t know anyone and didn’t have the requisite industry-specific experience, I ended up hanging a shingle and starting a consulting business. And while I did land good business deals and did connect with people (primarily through coworking spaces and various Meetup groups), my network expanded explosively after I joined an organization called StartupBus. Myself and others have written much about StartupBus in the last four years; search engine results will tell you more about it than I could in a few sentences. What’s relevant is its worldwide alumni group of innovators and entrepreneurs who have bonded over the common experience of competing in a three-day road trip hackathon on a moving bus. 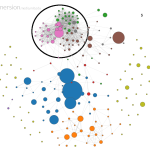 I discovered the effect that StartupBus had on my network growth when I was analyzing my contacts with a visualization tool. 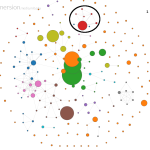 I had plugged my main email account into the MIT Immersion project which made headlines some time back by being able to analyze the metadata in your email headers to determine what your network of contacts looks like and how they all relate to you. It’s still online now if you’re interested in learning more about your own communications. The coolest thing about this tool is that it gives you a snapshot of your network at any point in time. I made some screen captures showing my communications and figured out quickly which ones were from the StartupBus network. 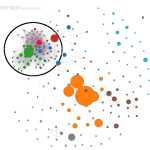 What blew me away was to see how tightly interconnected the graph became in just 36 months. It quickly got to the point where it practically dominates everything else in the graph. This kind of growth didn’t happen for the first 3.5 years I lived and worked in New York; it only occurred after I joined StartupBus. I really had to wonder: what was it about being a part of this organization, as opposed to other organizations I was a part of, that changed things so dramatically for me? Here are a few things I realized when I stopped to consider what factors led to all of this. The skill of meeting new people and connecting with them is not an easy one to master. Unless one is born a social butterfly, it always takes a mix of courage and charm to overcome the self-defense mechanism of keeping to oneself and avoiding any potential embarrassment. In ordinary situations, you’re a stranger attempting to associate with another stranger, and there’s no way to know how the interaction will go. This is one of best things about StartupBus; everyone on the bus starts off as strangers, but they quickly unite through the unusual situation they have all found themselves in. They have all chosen to take the plunge and commit themselves to a cross-country road trip, so they already share that ambition and spirit of adventure. Additionally, the conductor of the trip has interviewed and hand-picked every crew member, effectively curating what he or she thinks will be the best mix of people for that year. It turns out that this is an insanely potent recipe for networking success; a wild stew that’s thrown into a pressure cooker, and what comes out of it is anybody’s guess, but it somehow always tastes delicious. Anyone who’s taken the StartupBus can identify with and bond with anyone else who’s gone on that journey. I have no doubt that when I meet someone from StartupBus Africa, we will become fast friends and will have great stories to tell each other. That common experience overcomes the typical barriers to making connections between members, and what you end up with is an extremely tight-knit group of people who all work really well together. Whenever anyone in my network asks for help, I do whatever I can to lend my support. And while this is true of everyone I know, it’s doubly true for anyone who’s a StartupBus alumnus, because I know that helping other StartupBus members will lead to success for every other member. A rising tide lifts all boats. These “buspreneurs” tell each other about open positions at their companies and give sales leads, short and long-term contract work, and candidate referrals. They help each other with their current startups, or join forces to create new startup companies. Buspreneurs share knowledge and advice and expertise. They even hang out together. And when one is in trouble, the rest rally to that person’s aid. This exercise of the Golden Rule leads to forming incredibly strong relationships and strengthens the entire group. A network guided by this principle can’t help but become stronger and more valuable over time. 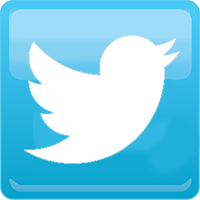 The best tools I have at my disposal for maintaining relationships with all my contacts are the fledgling social networking and social media systems we currently have at our disposal. I say “fledgling” because I think truly effective applications to manage interpersonal relationships haven’t come into existence yet. Every time new members join the StartupBus community, I add all of them to every social service I use: primarily Twitter, Foursquare, and most importantly, Linkedin. When we’re attending events en masse and we need real-time chatter, we usually create GroupMe groups and use those to be able to text message each other rapidly. 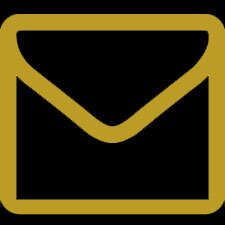 Then there’s the most important social networking tool of them all – email! The StartupBus community maintains a number of internal mailing lists where alumni regularly share news, job postings, etc. with each other. With access to these tools I practically feel omniscient. I can see what events people are going to, where they check in, whether they’ve changed jobs, who they’re connected to and who they can introduce me to, and what they’re discussing online at any given moment. Being able to tap in to all that enables me to show up where my friends are, catch up with ones I haven’t seen in a while, and have something to chat about when I next see them in person (“Hey, I saw you post about your new project on Twitter, how’s that going?”). Monitoring all of these channels can be a significant investment of your time, but there’s a lot of value to be had by just concentrating your focus on the people who are important to you. No person is an island, and no individual is a member of just one community. Likewise, no community is perfectly isolated – more often than not, communities overlap with one another through the individuals who represent the intersections between them. When I became the StartupBus conductor for the New York tribe in 2012, the first pool of people I recruited from were my fellow coworkers at New Work City. Here was a ready-made community that I knew was full of awesome people, and the result was both ecosystems growing stronger. Over the last three years, StartupBus has also managed to spin off its own new communities. Myself and co-organizer Alice Ng founded Space Apps NYC, the local chapter of the NASA International Space Apps Challenge. Alice successfully recruited some awesome people we met through Space Apps for the New York 2014 StartupBus, and once again both communities benefited from that synergy. 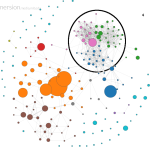 You can visualize your Linkedin connections using the Linkedin Labs InMap tool, and below is a visualization of mine. There are at least a dozen communities and subgroups reflected in the labeled clusters in the legend. Their mapping isn’t perfect but you can easily see a number of “nexuses” between the clusters. 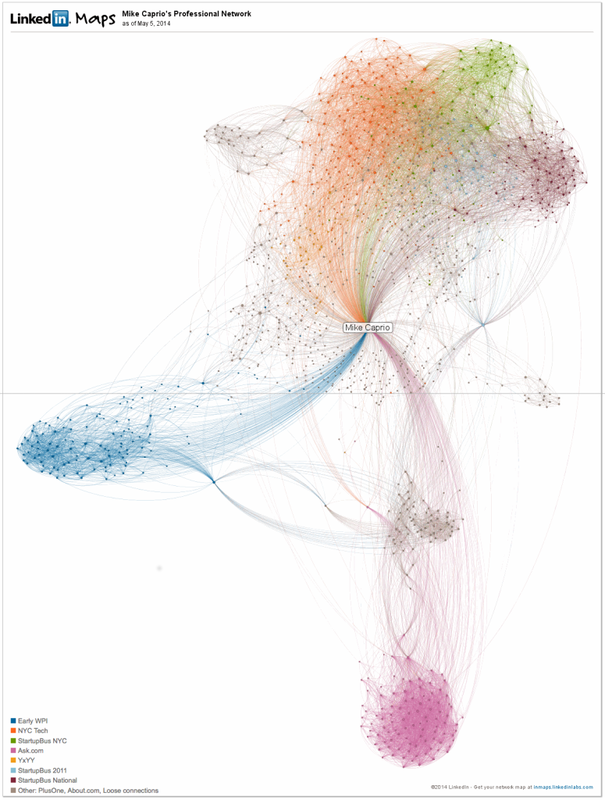 Those people are the super connectors, the primary nodes that intersect between communities. 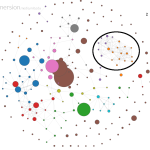 You can see pretty clearly how community clusters overlap with one another. Each of us belongs to different communities; some are vibrant and others are less active, some overlap and most are unrelated. 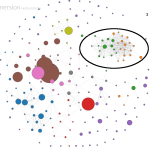 After examining the map above, it becomes obvious that, at least judging by my LinkedIn account, I’ve got three major networks (top area) clustered together with plenty of overlap, and then two disparate networks (lower, and left). What’s curious is the few people whose position on the map shows them to connect with two disparate groups. Are they super connectors? Are they super connected? There’s probably a tool to help me find out, but why not just email them and say hi instead? I hope you enjoyed this bit of meditation on community growth. Please feel free to send along any questions or comments directly to me via Twitter @mik3cap.